Designing interiors inspired by your lifestyle and personality! Sleek transitional bath uses a mix of warm and cool shades with a bit of shine from the crystal lighting and polished chrome accents to create a relaxing and serene space. The use of niches and furniture pieces provide storage in a small space. Juxtaposing sleek contemporary lighting, warm wooden beam, and charcoal concrete tiles, creates a warm organic feel. 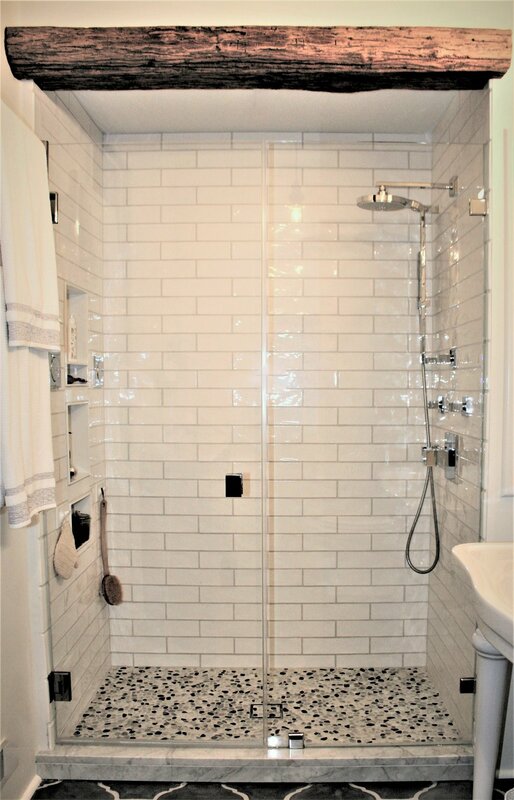 This small bathroom has a Modern Southwestern feel that is punctuated with white fixtures; encaustic, hand painted floor tile; and wooden accents. The built-in, open shelving provides storage that is functional and adds character to the space. 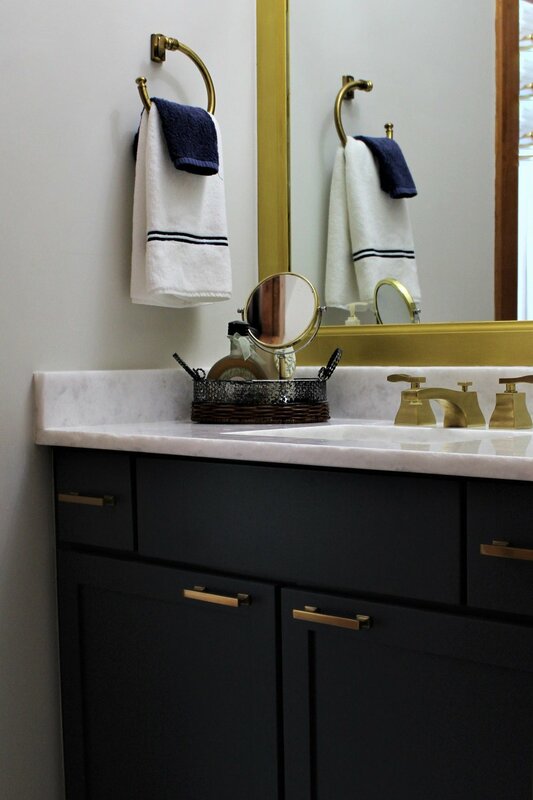 An updated Traditional look for this Jack and Jill bath is achieved with classic navy vanities that are highlighted by burnished brass accents and light gray cement tiles. 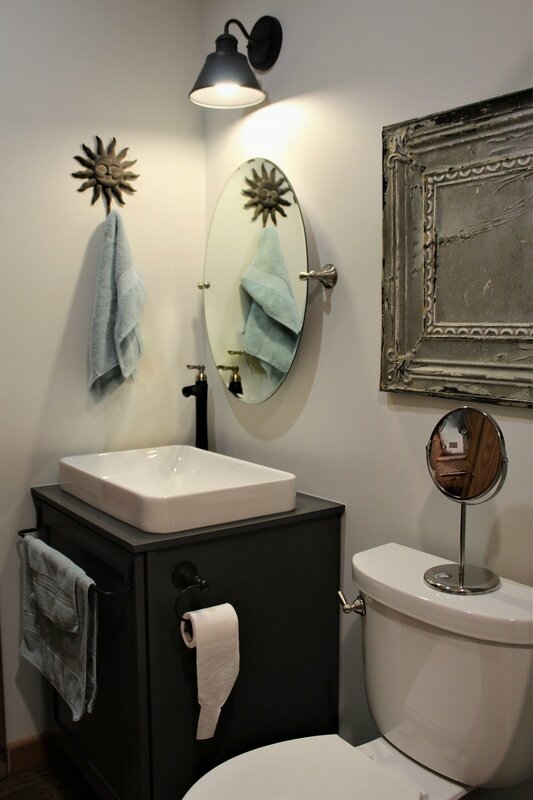 This Chic Industrial bathroom with charcoal gray cabinetry, a white vessel sink with black and satin nickel faucet, barn style lighting, and weathered accents work together to create a bath full of charm and warmth. 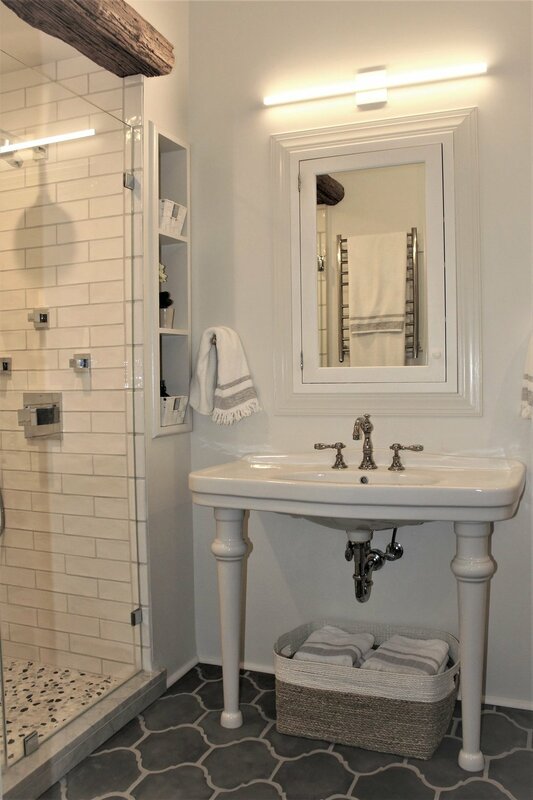 This powder room is a Modern Neo-Classic jewel box. The vibrant polished nickel accents, bold zebra wallpaper, and a custom floating vanity are elegant and whimsical.